It’s official: OptinMonster 2.0 is here! The v2.0 update is by far the biggest update we have ever done. This update includes hundreds of overall enhancements that we know you’ll love, and what you’ll find below is just a taste of what OptinMonster 2.0 has to offer. The biggest and most notable change in version 2.0 is a completely new interface for creating and managing optins. We revamped the live preview with easy point-and-click editing options, pre-loaded default text, and most importantly a true live preview that loads your site in the preview. Our main goal with the new customizer was to dramatically improve the interface for creating new optins. This is why in v2.0, all your optin settings are conveniently accessible through one screen via the customizer panel. 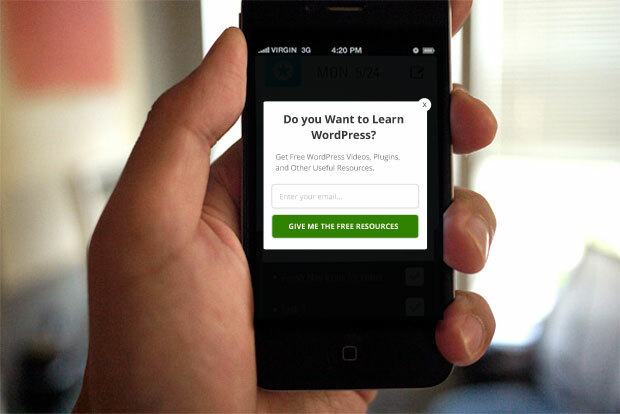 Mobile-friendly popups were the single most requested feature by our audience. Our new mobile addon allows you to create beautiful mobile-only optins. The biggest challenge with mobile-optin forms is the small screen size. This is why we created a mobile-only option which allows you to create a simple form for mobile users while keeping your powerful and elaborate forms for tablet and desktop users. Our easy to use A/B split testing feature was great, but it limited you to only two optins (primary and test). In version 2.0, you can create unlimited number of split tests with notes to keep track of your incremental changes and tweaks. Split tests now come with a new dedicated interface for easy comparison, and you can even have split tests for sidebar and after post optins (as well as the other optin types). Along with improving our existing integrations, we added 4 new integration providers in version 2.0. 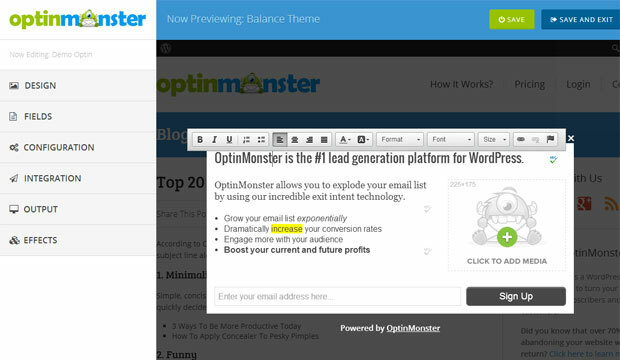 OptinMonster now has built-in integrations with HubSpot, Emma, TotalSend, and Customer.io. Most email service providers require users to verify their email address (double-optin). This results in a loss of subscribers (especially if your confirmation email goes in the spam folder). 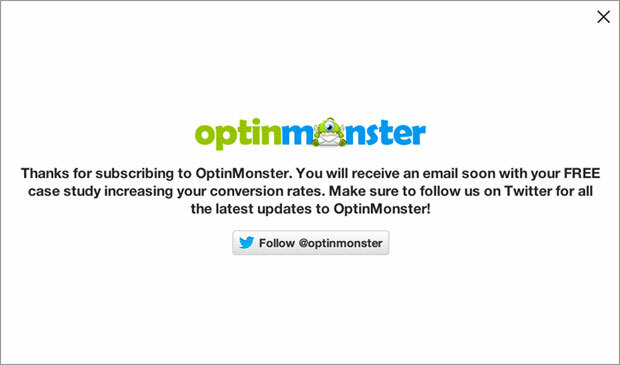 In OptinMonster v2.0, we allow you to store the emails on your site in addition to your email service provider. This has two major benefits. First, you have full control over the data that you collect. Second, you can compare which users didn’t double-optin and remind them to verify their email address. In OptinMonster v1.0, we added a success redirect feature that allowed you to redirect users to a new page once their optin was successful; however, this wasn’t feasible for everyone. This is why in addition to the success redirect feature, we now allow you to create an on-page success message to prevent users from leaving the original page. Aside from tons of user updates, we made several additions that our developer customers will love as well. New Provider API for building new Optin Integrations – If your email service provider is not supported by OptinMonster, then you can ask them to build an integration. Complete localization and translation support ready – we’re looking for help in translating OptinMonster. Improvement in RTL language support – This is for great for Arabic and Russian users. Completely overhauled JS API to improve stability and performance of the optin display mechanisms, cookie setting and tracking. MonsterLinks are now vastly improved and load faster than ever with our new forward looking link technology. Hundreds of other bug fixes and overall improvements to the codebase of OptinMonster. That’s it for now. Over the next few weeks, we will be announcing some cool new features and themes for OptinMonster.